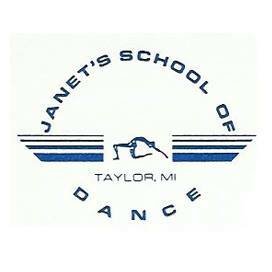 Janet’s school of Dance is celebrating its 40th year of dance instruction in Taylor, MI. Prices are very reasonable and classes are kept at a small number. The studio’s artistic director is Janet Vilag (Del Grosso). Janet is a member of Dance Masters of Michigan and America, Dance Educators of America, World Twirling Association, Twirling Unlimited, and the Better Business Bureau. The studio offers classes in Tap, jazz, ballet, pointe, baton, hip-hop, pom-pon, Hawaiian, and Zumba to students of various ages. The staff is well qualified and very dedicated. The studio competition teams have won numerous national champion titles, and participate in many local parades.